INCREDIBLE open concept loft in Loft 495, a concrete LEED standard boutique building of only 36 residences. 731 sf of ultimate lvg w/great city and mountain views. 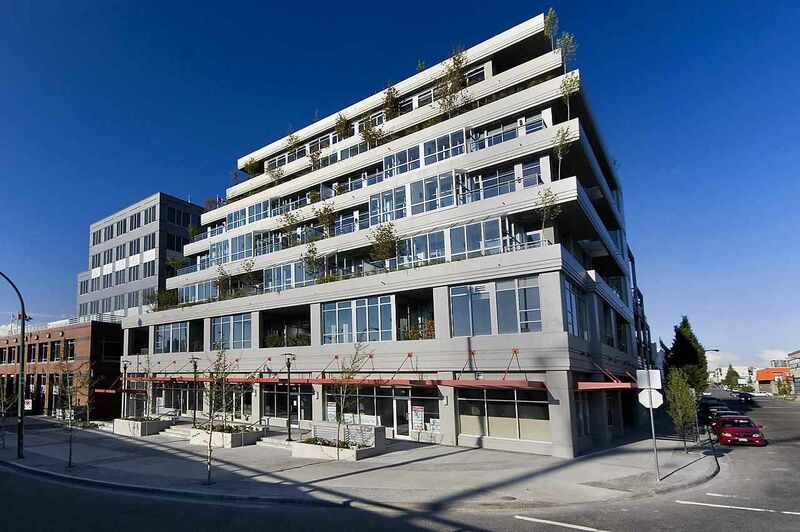 SW Corner, featuring flr to ceiling windows (11.5' exposed ceilings), polished concrete flrs, stone countertops, gas stove, s/s appls (Bosch & Paykel), large walk in closet, heated slate tiled bathrm w/rain shower, enclosed solarium/den & a balcony perfect for BBQ & sunsets. 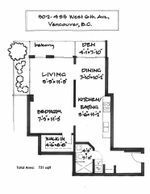 Fantastic proximity to Cambie corridor (Home Depot,Whole Foods,Winners), Seawall, Granville Is., Olympic Village, and a short stroll to downtown. Steps to Canada Line station - for direct access to the airport. Zoned for live/work. Bldg amenities include common rooftop deck w/stunning views of the city and mountains, BBQ & vegetable garden, 1 secured U/G prkg, 1 storage locker, bike storage, workshop & meeting rm. Perfect for Investors, First Time Buyers, and Downsizers looking for a pied-a-terre.